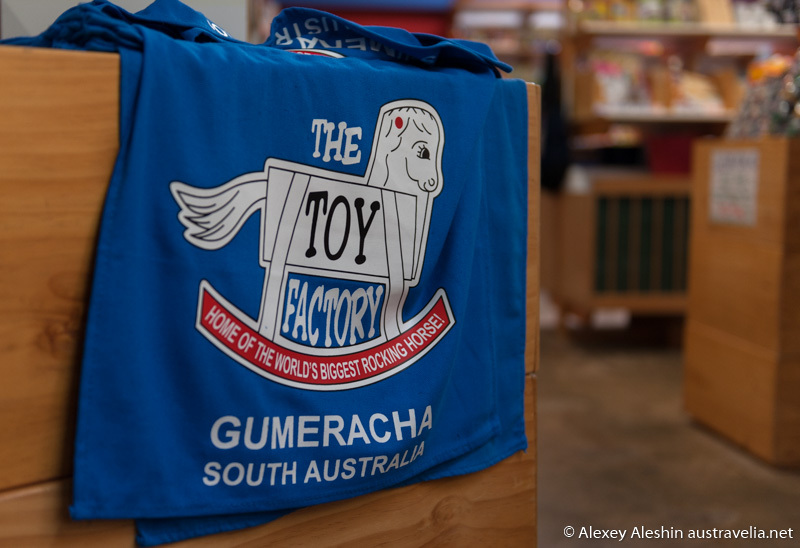 Have you ever heard about the real treasure for children and their parents hidden in the Adelaide hills? Those who have visited this place at least once, comes back again and again. Why is it so attractive?Those who drives a car along Gumeracha, certainly pays attention to a huge Rocking Horse at the edge of the road. By the way, this is the biggest rocking horse in the world! Those who stops to look at this wooden miracle discovers a shop of wooden toys behind the Rocking Horse! To come in there is a great fun for the children. 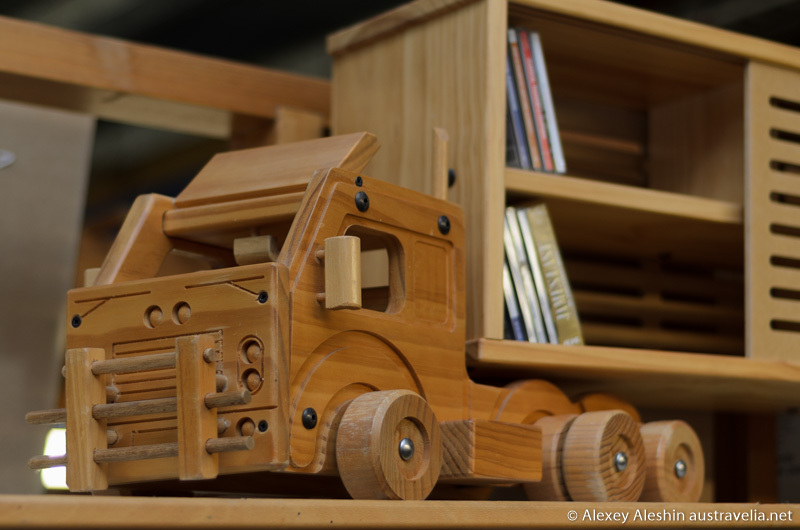 There are a lot of amazing things, such as wooden cars, planes, trains, doll furniture, horses, mobiles, puzzles, educational games and toys, wooden souvenirs. Many of these toys are manufactured in the factory, which is located right there next to the door. We were luckily allowed to open this door, and to see the miracle of the birth of wooden toys. 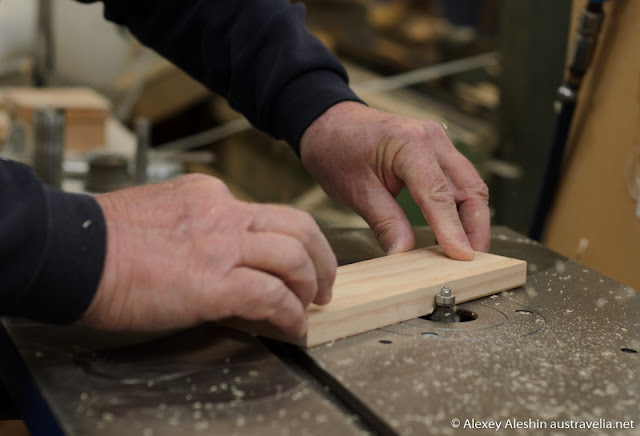 The toy maker performs many operations manually, and each toy keeps the warmth of his hands. By the way, primary school students are also welcome guests at the factory, they are invited to the special factory tours. There is another wonderful door in the shop, that leads to the territory of a small zoo, where visitors can meet some cute animals including kangaroos, wallabies, alpacas, sheep, goats, peacocks, emus and many other. Now you understand why this place near Gumeracha becomes a favorite place for entertainment for many families. I m really happy to read this post. Because Overall wooden toys can be fun, educational and encourage creativity within your child. There is nothing wrong with them being exposed to technology but for the early years of their lives it is important for them to develop their own skills and forge their own personality.